A national park within a metropolis limit, SGNP is a large protected area in Borivali. It encompasses an area of 104 sq km (40 sq mi) and is surrounded on three sides by India's most populous city, Mumbai. It is also one of the most visited parks in the world. 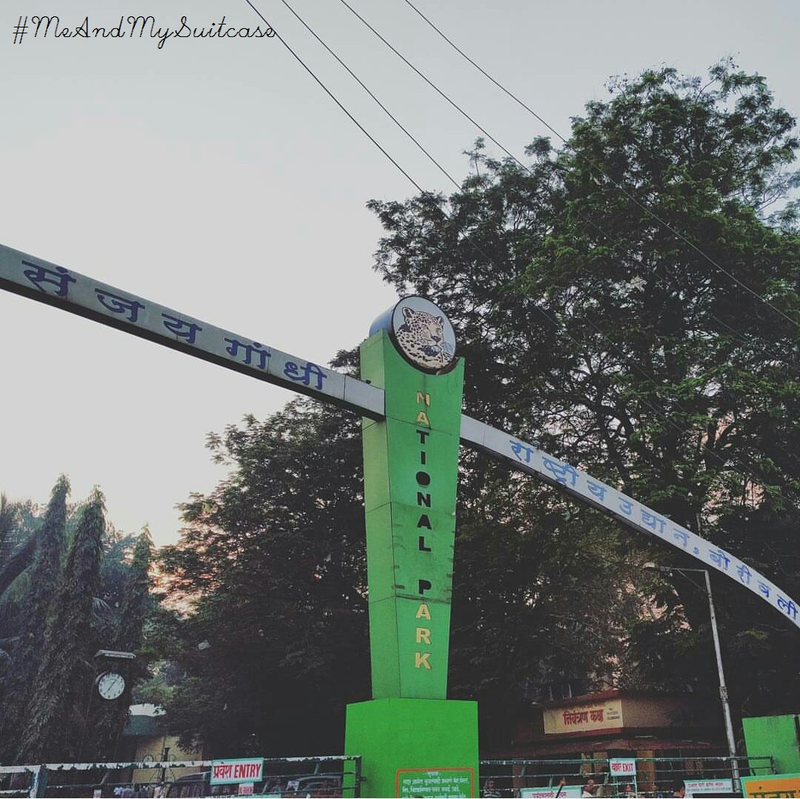 The rich flora and fauna of Sanjay Gandhi National Park attracts more than 2 million visitors every year. Tourists also enjoy visiting the 2400-year-old Kanheri caves (Buddhist Caves) sculpted out of the rocky cliffs which lie within the park. The Park's history dates back to the 4th century BC. I was planning to visit here from quite sometime. But plans are made and then they fail, the trips executed on a whim are usually more successful and that's what happened this time. I with a few friends on Friday eve over the dinner at Leaping windows thought, let's go cycling to Kanheri. Decision was made but only 3 of us could make it. We reached the gates of national park at 06:45 hrs. We were told, that earlier you reach the better to get cycles but it was not so, gates were not to be opened until 07:30 hrs to the visitors. Although for daily morning walkers the gate on exit side was open, I saw many of them coming out of the park at that time. What time did they get up mann!? We waited and as soon as the gates were opened, all ran towards the ticket window. We first purchased our entry tickets to the park and then approached to the cycle stand. To our dismay there was a big line for cycle while only 4 - 5 cycles were there. Where did these people come from? I had never seen those at the gates, certainly they were not ahead us. Finally we figured out that on the name of morning walk some people had entered the gates much before the designated time and stood in line as soon as main gates were opened. Not Cool. Ohh no! We are so not getting cycles, we thought. We were agitated but then we saw one guy getting some more cycles and we calmed down when we found out that there is a cycle yard near by. Finally we paid the deposit and got our cycles. We kick started our cycle trip at exactly 08:00 hrs. The morning was cool and the best part was that there were trees all around. 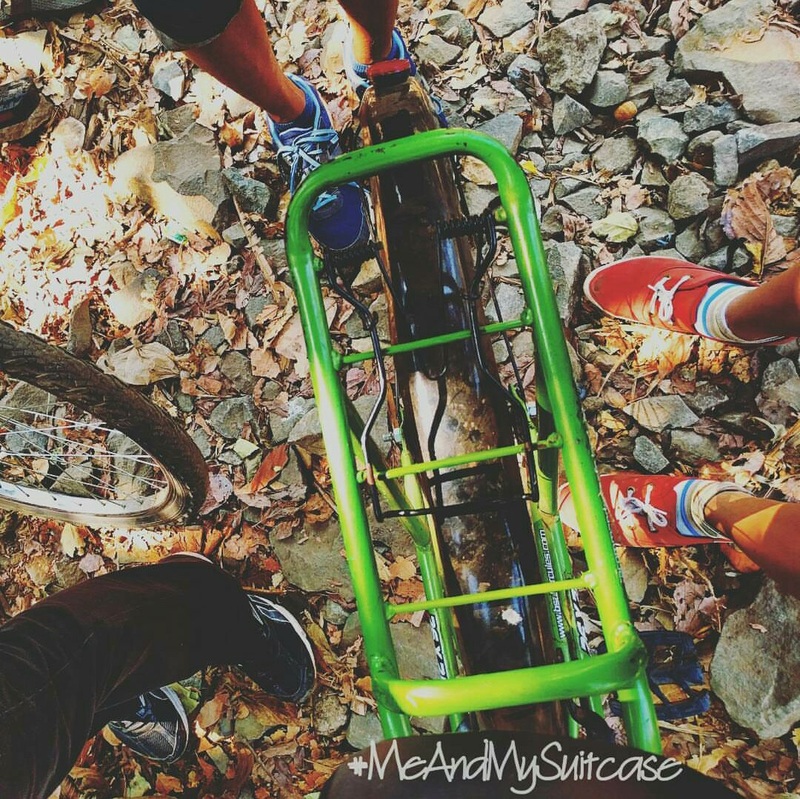 Clicking, chatting and enjoying the ride we reached Kanheri caves at 09:30 hrs. We did take 3 pit stops, first one when we bought some Kamrak. This sour fruit is totally recommended. Wow I can imagine the taste as I write. Second when we got l'il tired, cycling and third when uphill gradient was quite high to cycle. Well it wasn't impossible but difficult for those who don't cycle daily, like us. Well! the pit stops taken from photography point of view don't count. There is a separate ticket for Kanheri caves and yeah there is no cycle parking at caves. You have to just leave your cycle at the start of the steps to caves. As they say, no one will take it and you can just tell the hawkers sitting there that you are keeping your cycle there. 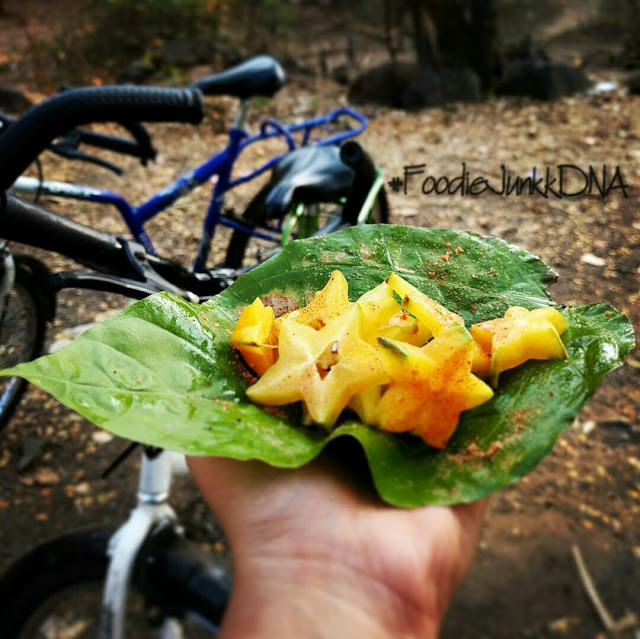 It's a risk leaving cycles, after all you can't expect hawkers to be there forever to watch over your cycles but they are kind enough to oblige for sometime. Also no one shall take it until your fate is really against you. Any way we explored caves for an hour or so, clicked a lot of pictures and had tea at one and only stall in the caves complex. The caves is in about good condition, neat and clean but some more work can be done w.r.t. preservation of history. 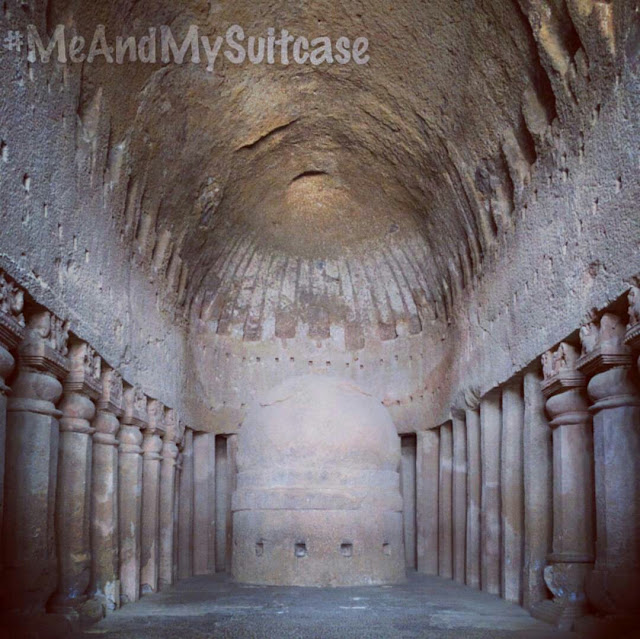 The beautiful, Kanheri caves demonstrate the Buddhist influence on the art and culture of India. It houses many Shivalingas and Lord Buddha's statues. Cut out of basaltic rock there are 109 entrances. We started descending at 11:00 hrs and made our journey back to where we started from in only 45 minutes. We returned our cycles, got our deposit of Rs.300 back and paid the rent of Rs.120 at Rs.60 per 2 hours (these rate and deposit details are per person). Trip was fun but we were tired and hungry. We headed straight to a small restaurant on the road opposite to the gates of national park. We wanted AC restaurant to beat the heat and tiredness but there ain't any near by, not that we could find. We had some snacks and ice cream. Finally we left back for Borivali station to take train to our respective places. 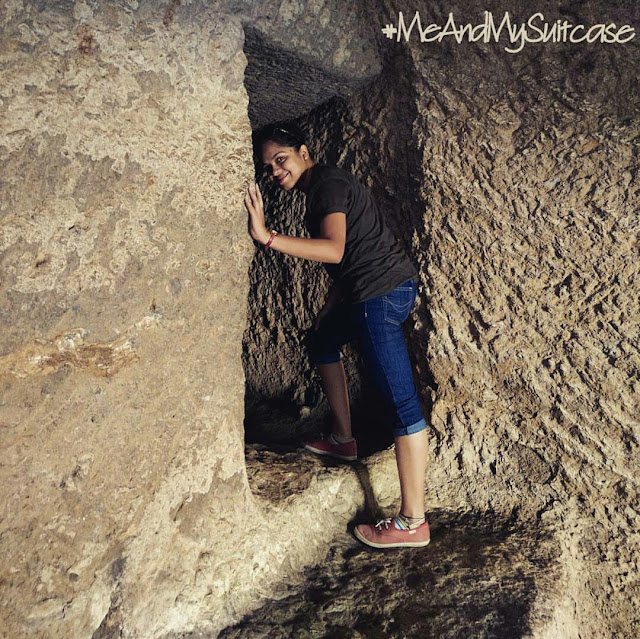 The park and Kanheri caves are also famous for Nature trails and treks, Rock climbing. The park also has a "toy train" called Van Rani that ran on a narrow gauge railway until 2001 when it was discontinued for the poor condition of the track after running for around 25 years. Things which people mainly visit this national park are for Boating, Tiger and lion safari, Walking trails. Visit to Jain temple, Kanheri caves and Buddhist Viharas. P.S. : I have heard that now they have started organizing jungle camping. Kindly inquire before you make up your mind for one. That was quite informative. Keep it up! Thank you Antarik. You must got just not in summers.